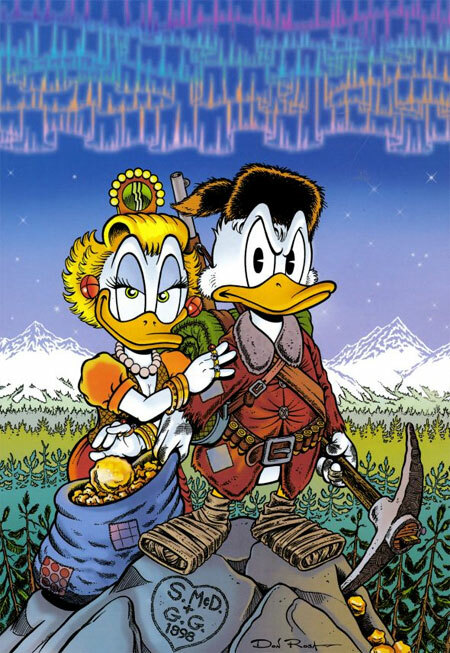 This entry was posted on Saturday, July 31st, 2010 at 7:48 pm	and is filed under Don Rosa, Germany. You can follow any responses to this entry through the RSS 2.0 feed. You can leave a response, or trackback from your own site. Will the statue be available to order online anywhere? I think that the statue will only be available for people attending the tour in Germany. Yes, that’s right. The statue is produced for the tour and will come with a set of high quality art prints. It will be priced at about â‚¬ 200. However, it won’t be a problem for foreign duck fans to have the statue shipped to other countries when it’s available. Just contact Comic & Spielzeug’s Stefan at the link provided by Arthur. Think I’m going to get one of them! 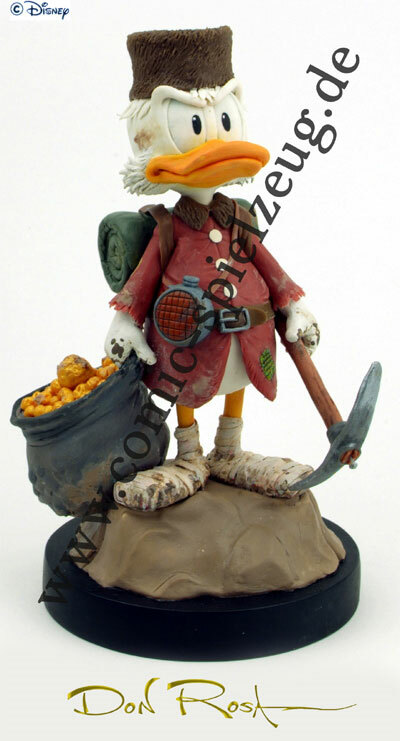 More news and pictures from the first Don Rosa figure Scrooge McDuck in Klondike on our website. http://www.comic-spielzeug.de . Still the text is available only in German language, but if you have questions don’t hesitate to email us. We will add an English version of the news and details as soon as possible. solo ora sono in grado di leggerlo e guardarlo. per favore traducilo tu .grazie!!! !